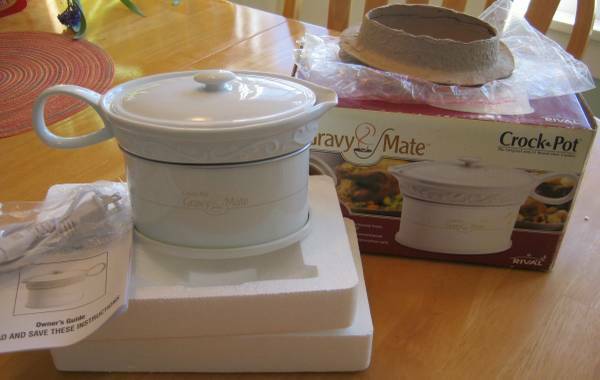 Rival Crock-Pot gravy mate keeps gravy, breakfast syrups, butter for seafood and warm sauces at the perfect serving temperature. 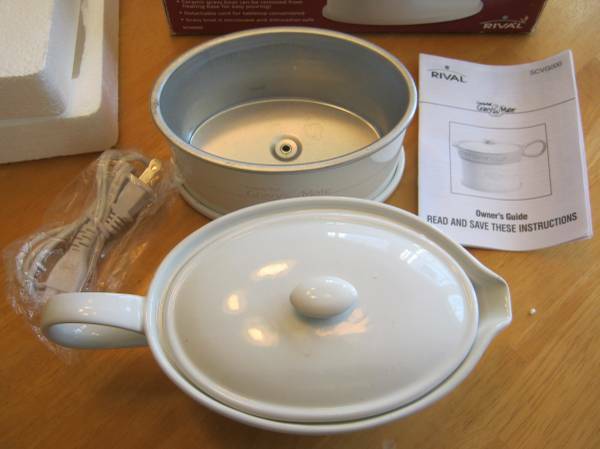 Electric heating base holds a removable ceramic gravy boat & lid. 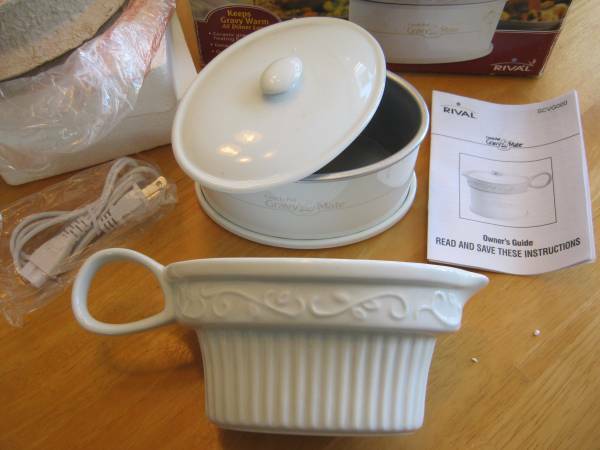 Cord is detachable for tabletop use and once unplugged the insulated heating base will retain heat to keep gravy warm longer. 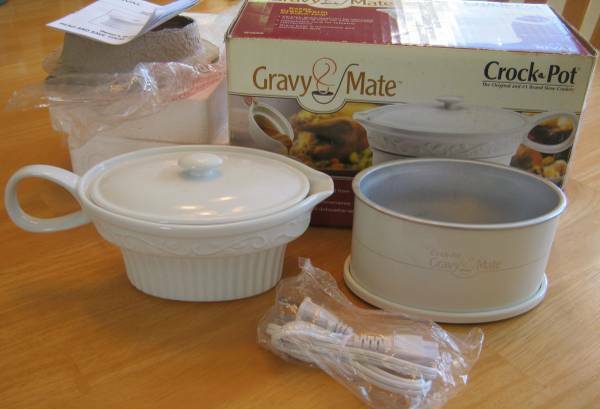 Gravy crock & lid are microwave and dishwasher-safe. 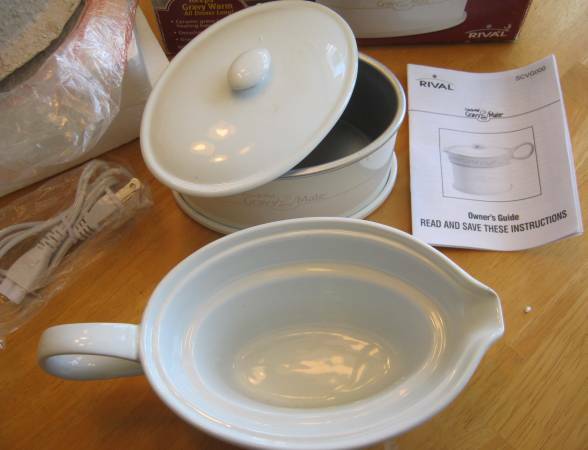 Unit measures 9" x 5" x 5" and holds 18 oz. 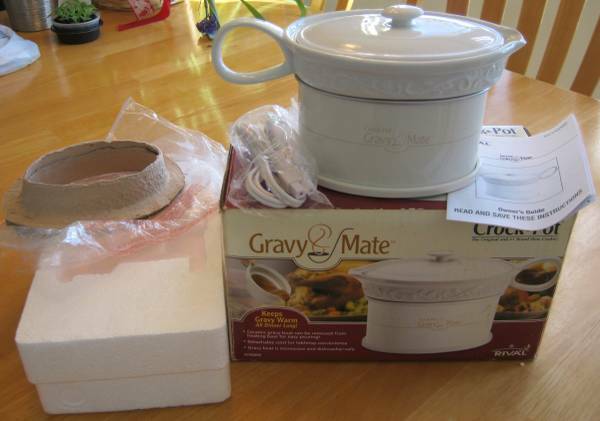 or 2 1/4 cups of liquid.